With instrumental music like this, sometimes less is more. Without a lead singer to bellow a point home, the artist behind the music needs to be more deliberate and thoughtful about each note. Unlike jazz where the riffing is the point, here it's what's not said as much as what's said. Or should I say what's played and what's not played? The impact hinges on that. Noveller is film-maker Sarah Lipstate. Noveller's Fantastic Planet, out soon on Fire Records, is like the soundtrack to an unmade film. From the hint of something heavy on opener "Into the Dunes", to the near-otherworldly chiming of "No Holy Mountain", the album is sure to very nearly instantly grab an attentive listener. As much as this sort of music requires precision, writing about this sort of music requires restraint. So I'm going to try to not get all flowery as I attempt to write about these expansive and open pieces of music. "Rubicon" undulates around a sort of bell-like figure, the feedback (?) behind that note unwinding further. "Pulse Point" reminded me a bit of the instrumental stretches on The Moon and the Melodies record from the Cocteau Twins and Harold Budd. The track provides a glimpse of a vast, unfolding sonic landscape and there's so much here without anything wasted. Sparse but full of drama, the tune is one of my favorites on Fantastic Planet. From the Durutti Column-like notes of "In February" to the Fripp-isms of album closer "The Ascent", Noveller captivates over the course of this record. 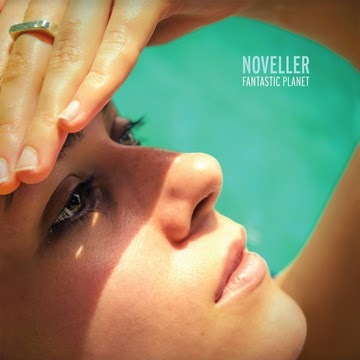 Fantastic Planet by Noveller is an expansive and involving record. The tracks here occupy big spaces even as they avoid big gestures. This is music that is compelling and nearly hypnotic in spots but also music that allows a listener to bring so much to the listening. While a flash of fiery guitar from Sarah Lipstate might anchor one track, another might hold that fire back a bit to build tension. I enjoyed that. It takes enormous confidence to pull off music this serious without being pretentious about it and Noveller has done such a feat. I highly recommend Fantastic Planet for any fans of Durutti Column, Harold Budd, or Robert Fripp. Let these beautiful cuts become the soundtrack to your own personal adventure as they were probably intended to be. 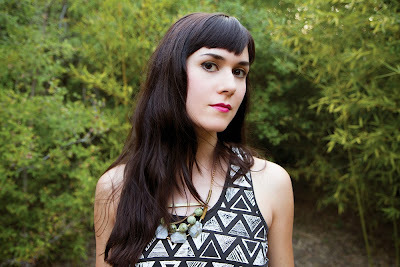 Noveller's Fantastic Planet, will be out in late January via Fire Records. In the meantime, follow Noveller via Sarah Liptstate's official website.